Due to the bank holidays on Friday 19th and Monday 22nd April, all orders will be shipped as normal on Tuesday 23rd April. A complete slow release fertiliser for use throughout the Spring and Summer. A special selection of UK native flowers selected to attract bees. A beautiful selection of UK native annual wildflowers. A mixture of annual and perennial wildflowers and grasses. Knowing what to sow: How much grass seed should I sow? Equine grass seed – to repair or reseed? What grass seed is best for my paddock? What happens to grass during winter? How long does grass take to grow? Autumn fertiliser: Should I fertilise my lawn in autumn / winter? Buying Grass Seed, Fertilisers and Wildflowers from The Grass People is simple. View our extensive range of UK blended grass seed, lawn seed and wildflower seeds mixtures which are suitable for a wide variety of lawns, gardens and amenity spaces. Offering a wide range of grass seed and lawn seed mixtures for use at home. For kids, pets, shaded areas and more. Buy your premium UK grass seed today. A range of grass seed for landscapers, including All Rounder, Fine Finish, Hard Edge, and Low Upkeep varieties of grass seed from The Grass People. We have a selection of wildflower mixtures for gardens and landscapes that are tailored to your specific needs. A great range of quick and slow release feed solutions to help keep your grass looking great all year round. Our greenkeeper's seed mixtures are ideal for greens, fairways and all golf seed requirements. Keep your pitch or green in great shape with our range of seeds for sports pitches, bowling and golf greens, cricket pitches, and more. 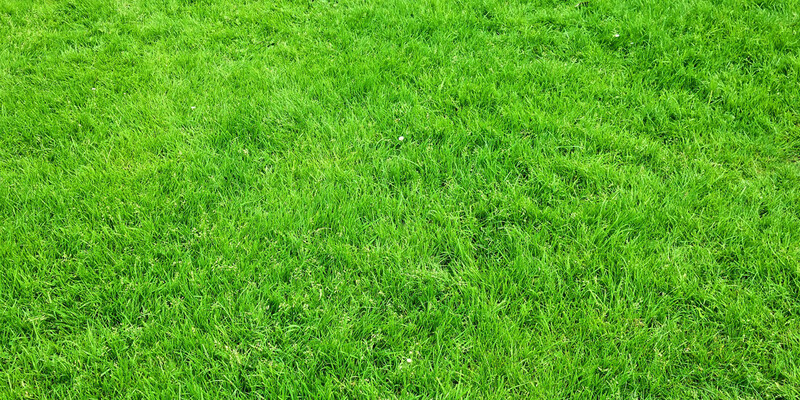 The Equestrian grass seed range offers high quality growth, perfect for grazing. Browse the Nurture range, with paddock, paddock with herbs, and paddock overseeder grass seeds. Our Help & Advice page offers great tips and guidance for everything from sowing seed tips, keeping a healthy garden throughout the year and much more! 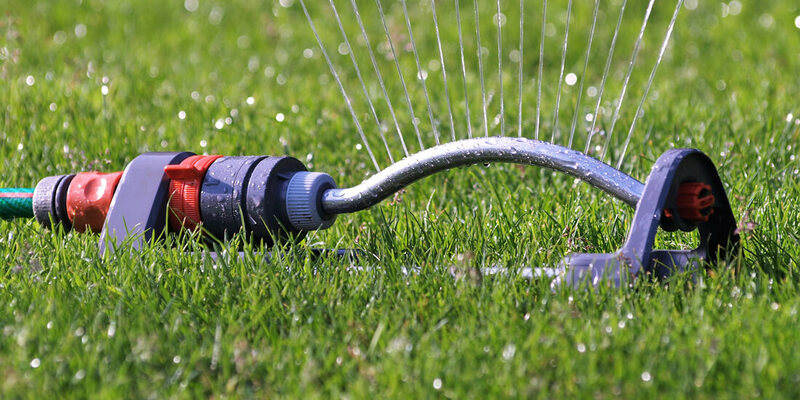 The drought last summer caused a lot of damaged grass, learn how to repair it in our Great Lawns Made Simple video guide. Are you a first-time seed sower? This informative video guide will tell you all the steps you need to know to sow grass seed. When will my grass grow? 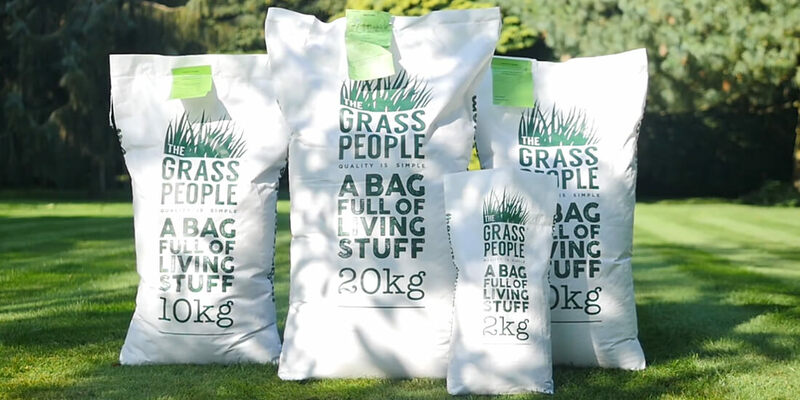 The Grass People's service, seed quality and price was a cut above the rest. Thank you. Excellent advice on the phone. I was even prepared to buy more and the advice was that it would not be necessary. Honest and competent and next day delivery, all came true. And most importantly, I have gone from a muddy field to a meadow in 3 weeks! We source the very best quality fertilisers, grass and wildflower seed so we can be sure you get the best possible results. If you decide you need to return your purchases we offer a fuss-free returns policy for your peace of mind. We guarantee next day delivery for all orders placed before 2pm & where possible for all orders before 3.00pm. Join mailing list to receive exclusive Grass People offers and latest news straight to your inbox. Accessing our website tells us you are happy to receive all our cookies. However, you can change your cookie settings at any time. Find out more.